Good morning and welcome to World Markets Live. NBC's Kasie Hunt has the details on the health-care bill. It now relies on a handful of Republicans to get through Congress. President Trump has been tweeting about tapes again. The President used his personal Twitter account to say he has no recordings of his conversations with former FBI director James Comey. Trump had previously raised the possibility of tapes in a tweet before Comey's Capitol Hill testimony about their encounters. 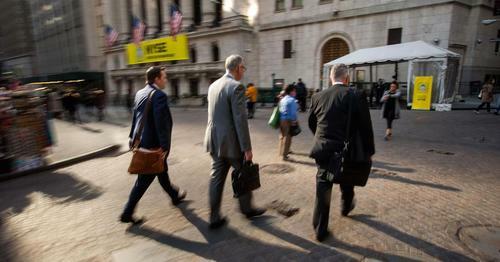 U.S. banks have enough capital to keep trading during an extreme economic recession. This according to the Federal Reserve's stress tests. Under the Fed's scenarios, banks would suffer significant losses, but be strong enough to continue lending to households and businesses. Results from a second round of stress tests will be out next week. We'll find out then what the Fed thinks about banks' plans to return capital to shareholders. The U.S. healthcare sector hits an all-time high on the Republican's draft bill to scrap Obamacare, despite concerns that some Senators could stand in its way. Meanwhile its a clean bill of health for America's banks. All major lenders pass the Federal Reserve's latest stress tests, raising the prospect of a pick-up in payouts to shareholders. 'It's a good start', says Angela Merkel of Theresa May's plan to guarantee the rights for EU citizens living in Britain, if the favour is returned by the continent. Shares in Wanda and Fosun recover from sharp losses amid reports China's bank regulator told lenders to investigate the systemic risk posed by these firms. David Bloom, global head of foreign exchange strategy at HSBC, agrees that if President Trump fails to get this new health-care bill through Congress, the dollar will weaken. We see downgrades coming through from people who are looking for big fiscal plans coming through from the United States in 2018, and the idea is a fiscal push by the government increases GDP accounts and multiplier effects. And thinking cyclically, not structurally, boosts to the economy means the Fed is more likely to raise interest rates, the dollar goes up. They don’t do it, the economy is a little slower than you thought, and therefore the Fed’s a little more cautious, and therefore the dollar doesn’t do what you expect it to do. Bloom says they initially upgraded GDP forecasts and were more bullish on the dollar when Trump was first elected. Now they are more cautious and clawing back. Allied Irish Bank is to price its IPO at 4.40 euros per share today. The bank bank expects conditional trading to start on Irish London exchanges on Friday, with unconditional trading expected to start on June 27. Ireland's finance minister says the IPO is more than 4 times oversubscribed. Total gross proceeds from the offer will e around 3 billion euros. The minister says based on the offer price, the bank's market cap will be around 12 billion euros, and adds that this creates a strong platform for the state to recover all the money invested in the bank. Global CFOs have a brighter view about the Eurozone and U.S. than Britain. That's just one of the insights from our CFO Council, which is speaking out in CNBC's quarterly survey. CFOs expect to see improvement in the Eurozone and American GDP. But they believe the economic situation in Britain will just remain stable. 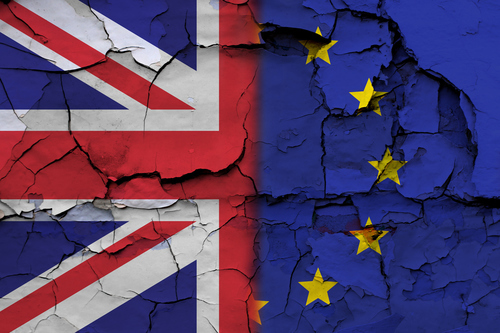 Meanwhile, today marks the first anniversary of the Brexit vote and our CFO Council members are feeling better later about how it will turn out. 30 percent say they're "more optimistic" about the outcome. 23 percent say they're "more pessimistic." Another 31 percent haven't changed their opinion. Final Q1 GDP for France grew 0.5 percent quarter over quarter, revised up from a previous estimate of 0.4 percent, according to INSEE. Meanwhile, French household savings rate rose to 14 percent in the first quarter, while corporate profit margin fell to 31.7 percent. Household disposable income was up 0.1 percent quarter over quarter. U.S. healthcare stocks rallied after Republican Senators revealed their healthcare plan. It includes large cuts to Medicaid and a defunding of the Planned Parenthood organization. UnitedHealth was the biggest gainer, with the Health Care Select ETF hitting an intraday high earlier in the session. Europe's health care stocks are proving less responsive. The sector of the Stoxx 600 is up just 3 basis points today. Here are the best and worst performing sectors today. 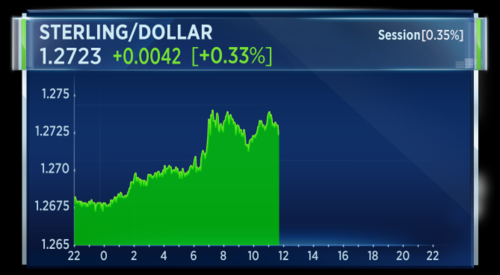 The euro is tracking higher following the release of French GDP and PMI data. France's services sector PMI showed a slow-down, but the manufacturing sector picked up from May. Shares in Bank of Ireland are receiving a boost from what the Irish government called a successful IPO of AIB. Irish Finance Minister Paschal Donohoe said the listing reflects the strength of AIB's prospects and the attractions of Ireland's economy. The CEO of UBI Banca and dozens of top execs could reportedly face a trial over whether the bank obstructed regulators. This according to Reuters, which reports that prosecutors have requested a case. There's also a probe related to possible irregularities in the way shareholders appointed the supervisory board. 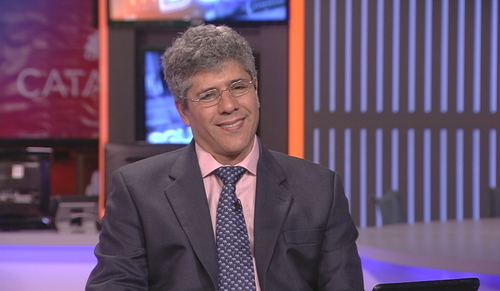 UBI Banca says it was not aware of the prosecutors' request. In November, it denied wrongdoing and said it has always cooperated with investigators. Rio Tinto has warned it will take a $180 million hit on its first half underlying profit. This as the Australian-British miner said it would have to pay early redemption costs as part of an effort to cut its gross debt by $2.5 billion dollars after completing a planned bond buyback. Rio Tinto has been working to reduce its liabilities in a bid to weather volatile commodity markets. Altice USA shares closed 9 percent higher on the day it made its debut on the New York Stock Exchange. The cable operator's 63.9 million share offering raised $1.9 billion, making it one of the biggest U.S. IPOs this year - second only to Snap INC. Altice hopes the move will open the door to acquisitions. CEO Dexter Goei told CNBC he would "look at buying opportunities in the next 3 or 4 years." Almost an hour after the European markets opened, the Stoxx 600 is down around 14 basis points. 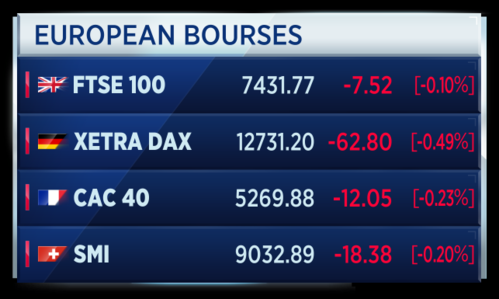 Here's a look at how the individual European bourses are performing. That was European Commission President Jean-Claude Juncker's response when asked if he has a clearer idea of what the U.K. government wants. Junkcer was arriving for an EU summit and answered journalists' questions. He responded when asked if Theresa May's proposal to guarantee the rights for EU citizens living in Britain is a step in the right direction. That's a first step, but this step is not sufficient. President Trump says on Twitter that he has no recordings of his conversations with former FBI director James Comey. NBC's Hallie Jackson has more. Toshiba's CEO says there is no plan to change composition of preferred bidder consortium for chips business before June 28. Alex Greer, research officer at Open Europe, says the key thing to watch for Brexit negotiations is what Angela Merkel says. If you’re looking at where these negotiations are going to be driven from on the European side, the member states, especially member states like Germany, are going to have a big role to play. Obviously the commission’s in the chair, but they take their brief from the member states, so I think the thing to look at on this offer that Theresa May has made, it’s a serious offer. She’s effectively offering the same status for EU nationals who’ve been here legally for five years the same status as U.K. citizens. Four Arab countries behind a boycott of Qatar over alleged links to terrorism have given it 13 demands, which they say will end the diplomatic crisis. Conditions include the closure of Al Jazeera television, reduced relations with Iran, and cutting ties with Islamist groups. The Saudi backed list also demands the closure of a Turkish military base in the Qatar. Leaders there have refused to negotiate under boycott. North Korea claims it had given medical treatment to Otto Warmbier and brought him back alive after his heart nearly stopped, Reuters reports citing KCNA. Warmbier was an American student who was detained by North Korea for admitting to trying to steal a propaganda sign. he was sentenced to 15 years in prison, but was released in a coma and died days after in a U.S. hospital. North Korea says it is the "biggest victim" of the Warmbier indicdent. The country says Warmbier's death after he was returned to the U.S. is a mystery. The country says claims that Warmbier died as a result of torture and beating is "groundless", instead saying Warmbier is a "victim of the policy of strategic patience of Obama." 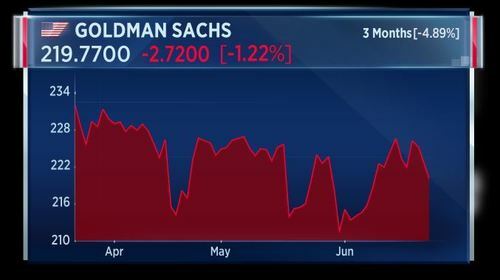 Goldman Sachs was the biggest loser in the Dow in Thursday's session, dragging the financial sector over half a percent lower on the day. Over 3 months, shares in the company are down nearly 5 percent. London police say the Grenfell Tower fire in north London was started in a Hotpoint fridge freezer. The police says the insulation and tiles used in the tower's cladding failed all safety tests. They say no extra people are reported missing in the tower block but are concerned they do not have the full picture. The police say they are considering manslaughter among possible criminal offenses that might have been committed. Here's what's to come from the U.S. today. At 9:45 a.m. ET we have June manufacturing and services PMI data for the U.S. Manufacturing and services came in at 52.7 and 53.6 in May respectively and they are forecast to come in at 53 and 53.5. At 10:00 a.m. ET we have May new home sales. This is forecast at 590,000, up 3.7 percent, from 569,000 in April (which fell 11.4 percent from the month before). On the earnings front, Blackberry and Finish Line are set to report earnings before the bell. Nine people are confirmed dead and 79 are assumed dead as a result of the Grenfell Tower fire, the police say. Emergency services received more than 600 calls on the night of the blaze. 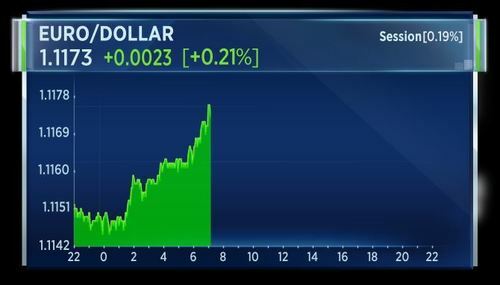 Sterling remains on the front foot as traders in New York get to work. The sudden surprise shift to a more hawkish debate at the Bank of England is lending some credence that the central bank will raise rates as early as August 2017. The last time the BOE raised rates was in July 2007. BOE Governor Mark Carney and his Chief Economist Andy Haldane appear to be at odds over support for a hike, with the former arguing that now is not the time. 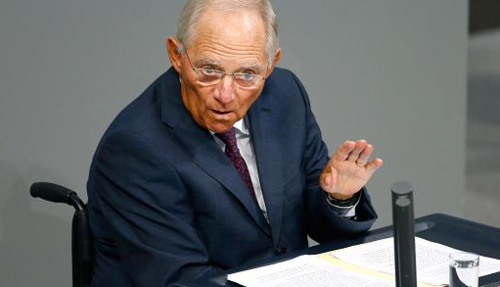 The German Finance Minister Wolfgang Schaueble has said Britons were lied to during the campaign prior to the referendum on EU membership. U.S. stock index futures pointed to a flat to lower open on Friday, as investors await the latest economic releases and speeches from Federal Reserve members, while maintaining a close eye on oil. On the final day of trading for the week, economic data is expected to keep investors busy with manufacturing PMI data and services PMI data due out at 9:45 a.m. ET/ 2:45 p.m. London, followed 15 minutes later by the latest new home sales data. CNBCSome of the names on the move ahead of the open. If you need to have an understanding of the latest issues surround the Qatar blockade you could worse than to read this. 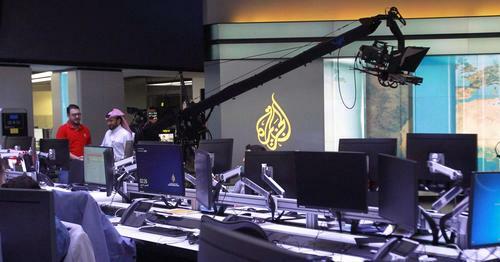 CNBCQatar has been forging an independent foreign policy since the discovery of gas and a palace coup. Where should you go when oil falls? This data might help you out. 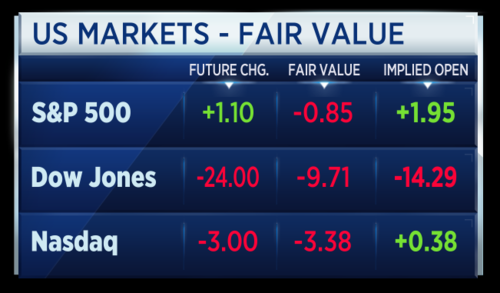 European markets moving lower today. This after the euro zone PMI for June came in at a 5 month low but the moves today more seen as a reflection of lower oil prices. Leaders in Europe finished a 2-day meeting earlier. And that is where will leave the blog today. Thanks all.